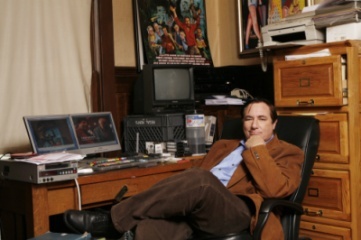 Paul Davids' career in film and television took off when he got his “first break” as production coordinator of the original “TRANSFORMERS” TV show for Marvel Productions in 1985. 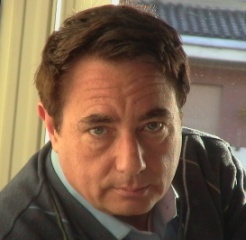 His name appears on about 80 episodes, and he also wrote many of them. This popular series, based on the Hasbro toys, spawned the recent smash hit feature film, “THE TRANSFORMERS,” from Steven Spielberg and Michael Bay. 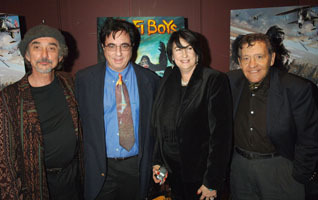 Before he began producing and directing his own films, Paul spent a couple years co-writing six STAR WARS sequel novels (with Hollace Davids) for Lucasfilm and Bantam books, including the award-winning MISSION FROM MOUNT YODA plus THE GLOVE OF DARTH VADER, THE LOST CITY OF THE JEDI, ZORBA THE HUTT’S REVENGE, QUEEN OF THE EMPIRE and PROPHETS OF THE DARK SIDE. The books sold millions of copies and were published in many languages. His directorial debut was in 1997 with “TIMOTHY LEARY'S DEAD,” which he filmed with the late Harvard Professor who promoted LSD for consciousness expansion in the Psychedelic 1960s. “TIMOTHY LEARY’S DEAD” proved to be a favorite at many major festivals (including Toronto & Venice & the NY Underground Film Festival). That film had a theatrical release from Strand and a DVD release from Roger Corman's New Concorde. 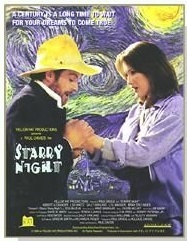 In 2000, Universal Studios Home Entertainment released Paul Davids' “STARRY NIGHT” to DVD, a whimsical fantasy that Davids produced (with Hollace Davids) and which Paul Davids wrote and directed. In this film, artist Vincent van Gogh returns to life for 100 days to discover he's now an extraordinary success, but Vincent finds that he still can't get paid for his paintings – now worth billions - that were rejected in his day a century ago. 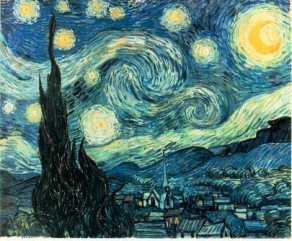 It is an ironic commentary on society’s frequent lack of appreciation for (and sometimes total disregard of) its greatest artists while they are living. Universal also licensed the film to TV around the world. JESUS IN INDIA is Paul Davids' 5th feature film as director. He produced the film with Anil Kumar Urmil, who is from Goa, India, and who served as Executive Producer (with Felicity M. Newman) on “STARRY NIGHT.” It features a memorable music score by Brian Thomas Lambert (who also composed music for “THE SCI-FI BOYS”) This film is a quest to unravel the mysteries of Jesus’ Lost Years (or “Hidden Years”) from age 12 to 30, which are not documented in the Bible. In so doing, it explores the legends, myths and actual evidence that Jesus’ Hidden Years were partially spent in India, and that Jesus was the “King of Travelers” as Muslims have always claimed. 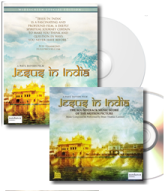 It is loosely based on the book King of Travelers: Jesus’ Lost Years in India by Edward T. Martin, who leads us on a 4000 mile journey to holy places of many major religions in this film. The film is most remarkable for the participants who appear on camera, including best selling author Professor Elaine Pagels of Princeton University, the Dalai Lama, the “Pope of Hinduism” (the Shankaracharya) in his first public revelation on this topic (and he insists that Jesus was in India at the 2.500 year old Jagannath Temple in Puri), Monsignor Corrado Balducci (an Apostolic Nuncio of Pope John Paul II) and representatives of Paramahansa Yogananda's Self-Realization Fellowship. JESUS IN INDIA is a 97 minute feature documentary, produced over the course of three years.